$42.99 & FREE Shipping on orders over $59 $35. What light through yonder window breaks? It is the east, and this Saison is the sun! 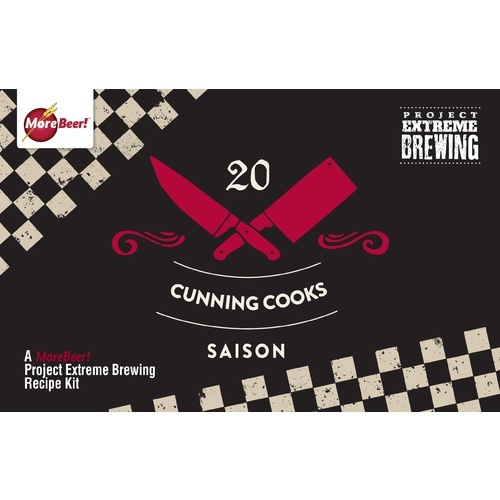 Literature buffs may flinch at comparing the fabeled beauty of Juliet to that of a beer, but this recipe from the pages of Project Extreme Brewing is sure to have you speaking in verse. 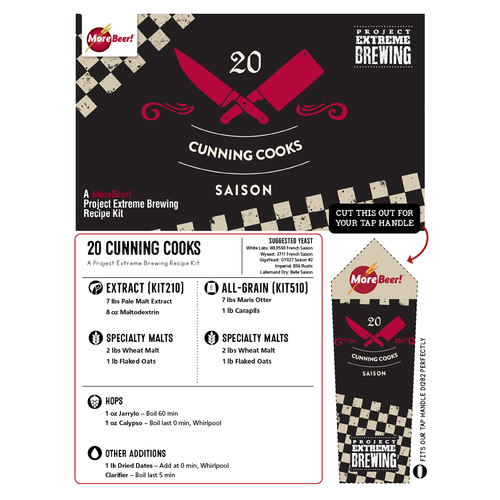 Inspired by a passage from Shakespeare's Romeo and Juliet, 20 Cunning Cooks is a fruity Saison featuring Maris Otter as a base alongside wheat malt and flaked oats for a delightfully soft mouthfeel. We recommend using a French Saison yeast for their spicy character that will complement the fruity notes from the Jarrylo and Calypso hops. Dates are added during whirlpool to contribute a satisfying tartness that counterbalances the soft malt flavor and adds a layer of complexity that every star-crossed beer lover will enjoy. 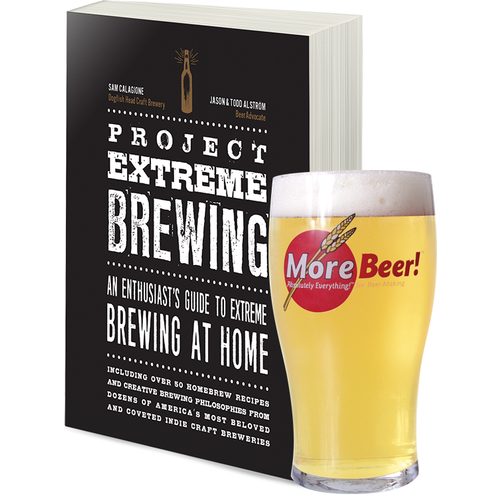 The Project Extreme Brewing book that was written by Sam Calagione of Dogfish Head Brewing. MoreBeer! President Chris Graham helped edit the book and brewed with Sam.